Yarmouth and Bonny Eagle are girls' state champs. CUMBERLAND — Freeport senior Chandler Vincent and junior teammate Henry Jaques finished 1-2 to lead the Falcons to a successful defense of their Class B boys’ cross country state title Saturday afternoon at Twin Brook Recreation Area. Freeport held off York 52-62, with Greely third at 80. The Scarborough boys also defended their Class A title by 20 points over runner-up Falmouth. Yarmouth claimed its first girls’ Class B state title 65-78 over defending champ Greely. York was third at 81. In Class A, the Bonny Eagle girls won their third title in four years by 18 points over defending champ Scarborough. 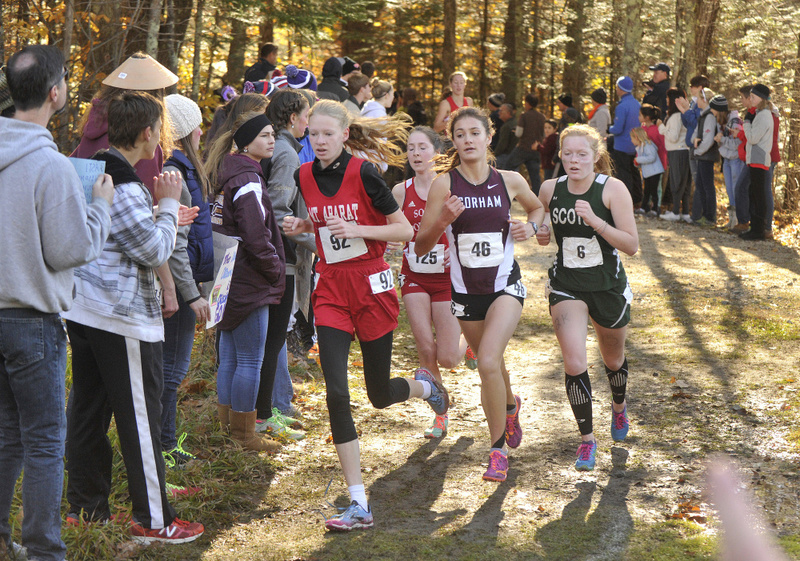 Individual winners were Anna Slager (19:42) of Gorham and Osman Doorow (16:17) of Lewiston in Class A. In Class B, Vincent won in 16:34 and Katherine Leggat-Barr of Greely won in 19:11 with freshman teammate Carolyn Todd seven seconds behind.